Hoffman Stein Nexus App Review - Nexus App Scam! Hoffman Stein Nexus App Review – Nexus App Scam! Nexus App by Hoffman Stein makes a bold promise of making you at least $10,000 per month, or your money back. Unfortunately, Hoffman Stein Nexus App is a scam! We’ve gathered the necessary evidence to prove it, so make sure your read the full Hoffman Stein Nexus App review before you plunge into an obvious trap! So many red flags in the homepage of Hoffman Stein Nexus App scam! If your spidey senses is tingling and you questioned if Hoffman Stein Nexus App is another get-rich-quick binary software scam, then you are on to something. Indeed, claims like these may seem ridiculous, but unfortunately there are still thousands of victims who fall into them every single day. So if you come across similar sales pages in the future, here are some methods you can use to determine if it’s real. See the sign up form to the right of the sales video (circled in red in screenshot above)? Notice that the “opportunity” expires in minutes, and there are only limited number of spots available? Here’s a way to find out if the counters are real. At any point of the sales video, note down the time and number of spots left, and simply refresh your browser window by pressing F5 on your keyboard. You’ll notice that the timer resets to 12 minutes, and the number of spots available returns to 97 spots immediately, no matter how much time or spots for Nexus App are left before that. The truth is, those counters are just computer scripts that are set to count down every time the webpage is loaded. There are no limited time and spots to Hoffman Stein Nexus App, this is just a marketing tactic to force its victims into action. If you watched the sales video for Hoffman Stein Nexus App, you must have came across the member testimonials that are featured in the sales video. The members claim that the app made a huge financial difference in their life, and they are grateful to Dr. Anthony Henderson, the alleged founder of the app for changing their life. Since there are seemingly genuine app users, the Nexus App must be legitimate, right? Wrong. We’ve investigated the background of Philip Peterson (the member featured in the screenshot above), and what we found was disappointing. This “member” of Hoffman Stein Nexus App is just a Fiverr actor! 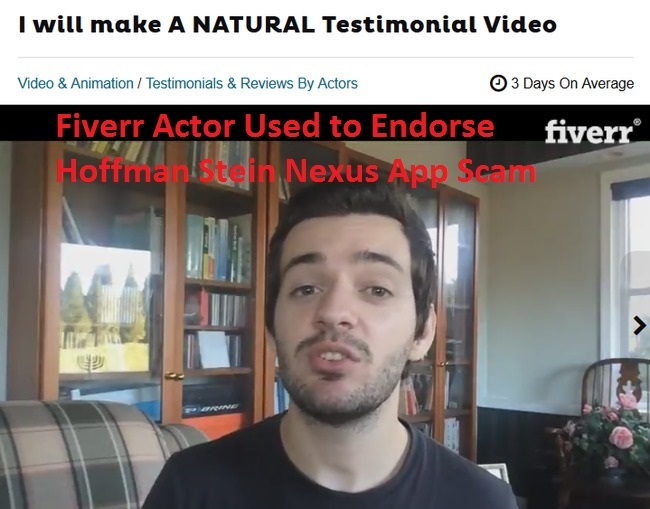 This particular member of the Nexus App is actually just a Fiverr actor who was paid to endorse Hoffman Stein scam! 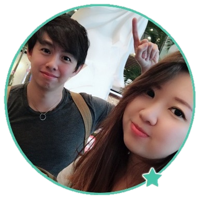 If you want to verify our claim, you can find his Fiverr actor profile at this link: fiverr.com/simplysoccerpro. Fiverr actors and actress offer their services by endorsing whatever their clients asks them to. Take a look at the gig description of this Fiverr actor here. He offers to provide natural and professional sounding video for a price. 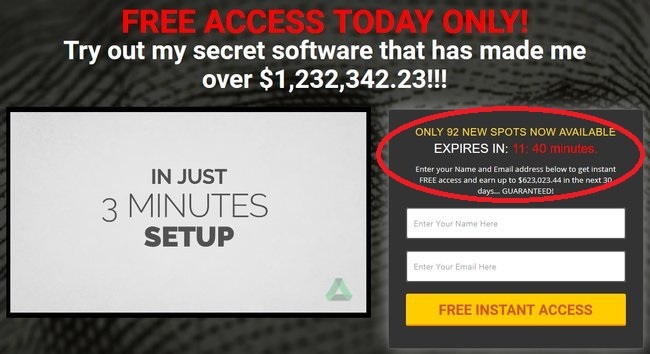 He’s also featured in other binary trading software scams such as Auto Money Generator, which we have reviewed earlier. A fake testimonial can generally be bought from Fiverr.com for as low as $5. We do not condone or condemn the act of buying and selling fake testimonials, but we want you to be aware of this – that fake testimonials can easily be bought online. So the next time you come across opportunities that sound too good to be true, it’s good to be skeptical and do some research. Even the News Excerpts for Hoffman Stein are Fake! 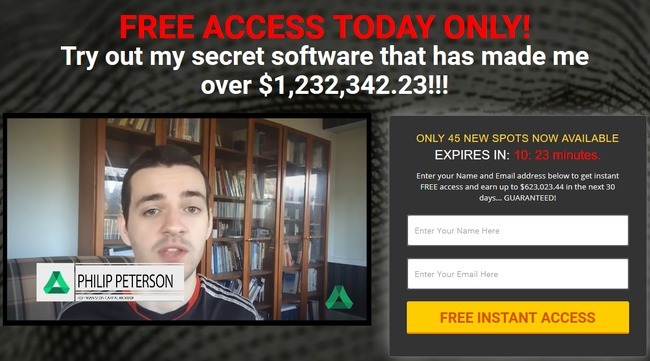 During the sales video, Anthony Henderson claimed that his miracle software was mentioned in reputable online publications such as Wall Street Journal’s Economy and Los Angeles Times. We couldn’t help but be skeptical, because these screenshots can be easily manipulated using Photoshop. Furthermore, he conveniently left out the date in which the articles were published. Luckily, both websites provide a convenient search tool for us to find articles inside their directories. We ran a search using “Hoffman-Stein” as the keyword, and this is what we found. Link to the results from WSJ’s Economy: wsj.com/search. Link to the results from Los Angeles Times: latimes.com/search. There are no relevant results found in both the publications. As suspected, the screenshots shown in the sales video are fabricated, and shouldn’t be trusted at all. 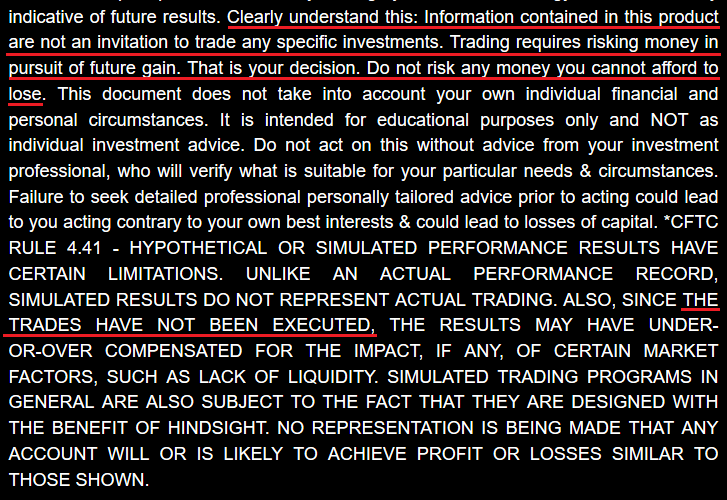 Despite promising to make you rich beyond your imaginations, “Anthony Henderson” has some dark secrets hidden in the disclaimer of Hoffman Stein Nexus App scam, after all. You won’t find the document anywhere in the sales material, because it’s supposed to be hidden from you. It can only be accessed through a fine print that reads “disclaimer” at the bottom of the sales page, where almost no one will notice. You can verify the terms we’ve quoted here using this link: hoffmanstein.com/disclaimer. Despite coercing you to sign up for the “free” money-making software, Hoffman Stein denies inviting you to trade binary options. Note: Scams that promise unrealistic returns like Hoffman Stein Nexus App are illegal in many jurisdiction. If they do not include this clause, they are deemed to illegally coerce you into signing up for the scam. Hoffman Stein Nexus App scam admits that trading binary options is extremely risky, and it’s your own responsibility if you decide to sign up and lose all your investments. NO REAL TRADES HAVE BEEN EXECUTED using Hoffman Stein Nexus App. All profits quoted in the sales material are fake. What about the profits Anthony Henderson showed you in the sales materials? Of course, they are all fake profits used to entice you into signing up for the scam. He didn’t even bother to tell you the risks of losing your investments in his sales pitch, and the fact that no real trades have been executed using his app, so how can you trust him with your money? Is Hoffman Stein Trading App a Scam? YES, HOFFMAN STEIN TRADING APP IS A SCAM. We strongly advise you to stay away from the scam if you don’t want to lose your hard-earned money.